Do You Need a Lawyer to Modify Your Loan ? Foreclosures are a common problem that we see today. This is because of the recession and the global financial crisis. If a person has to face foreclosure they should ask for assistance from professionals who know about mortgages and loans. hey can ask from lawyers who are experts in loan modifications. These lawyers know it all when it comes to modifying loan policies. People don't have to worry about finding a good lawyer to help them. A lot of lawyers are focusing on helping people face foreclosure. This is due to the fact that modifying loans are effective in solving foreclosures. With the proficiency of these lawyers in lending policies, they negotiate with the Lender to find ways to prevent homes from being foreclosed. Furthermore, a number of clients are seeking the help of lawyers, and consequently, the more the clients the more money they can earn. Lawyers are skilled in representing a person who is facing foreclosure, or just in the brink of experiencing one. They provide suggestions and negotiate with the lender about modifying loan terms or decreasing the interest rates. 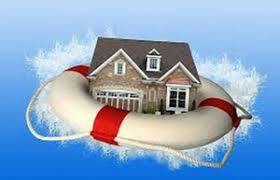 Lawyers can also help the homeowner by giving them good options on how to tackle the problem of their mortgages. Not only that a lawyer represents the law so the lender would have to listen to the clients concern regarding the foreclosure. Most importantly, lawyers almost always give their clients the best possible options that would be of utmost benefit to their clients. You must choose a good lawyer, one that would represent you and thinks of your welfare. Moreover, a lawyer should be trustworthy, being able to tell you all the available options. You should choose a lawyer who is capable of providing you information on loan modification, such as the requirements and the corresponding qualifications. You must be able to trust them with important documents regarding your loan policies so that they in turn can show you your options. The lawyers deal with the lender will influence your finances during the months to come regarding your payments. The lawyers main goal is to have your loan payments lowered each month or they may opt to decrease the interest rates with your lender. Whatever the deal for you is it will be in your best interests that you get a good deal.